Katreen Hardt has been a freelance journalist for 15 years and an actress for over 20 years, performing in theatrical productions across Germany. 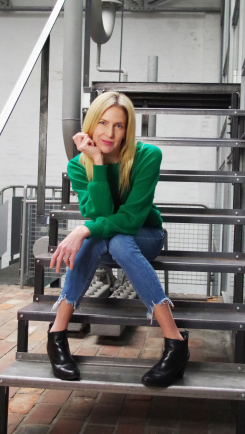 She has written regularly for leading UK women's magazines including Grazia, Glamour, Cosmopolitan, Look and Marie Claire, as well as the newspaper the Daily Mail. Other women's magazines she has written for include Fabulous, Healthy, Woman & Home, Easy Living, Reader’s Digest, Woman, Woman's Own, Best, Reveal, Mother & Baby, Pregnancy & Birth, Eve and Buzz. Katreen specialises in real life stories, from the tale of an Afghan refugee who fled the Taliban to survivors of 9/11, which are well-written, thoughtful, honest, and ofttimes heart-rending. She takes pride in the fact that the hundreds of women she has interviewed over the years have felt comfortable opening themselves up and sharing their personal journeys with her. On a lighter note, Katreen also enjoys writing about sexual escapades, drawing upon her own and others' experiences. She has a BA in Theatre Arts from the University of Iowa, a Graduate Certificate in Periodical Journalism from the London College of Communication and an MA in English and American Literatures, Cultures and Media from the Christian Albrechts Universität in Kiel, Germany.